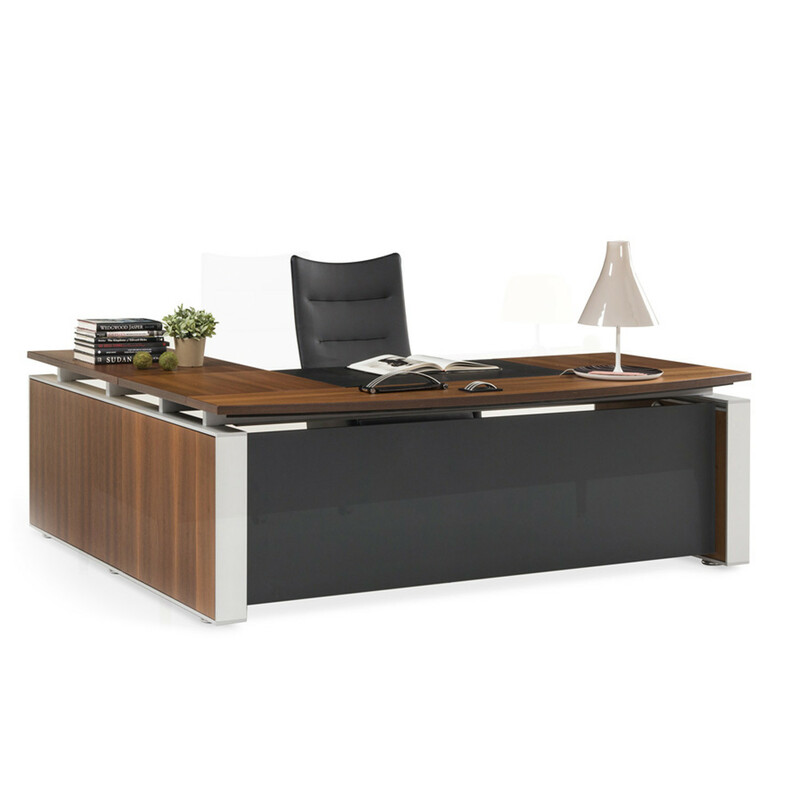 Swami Executive Office Desk is designed for business executives,directors and other prestigious clients at a management level. 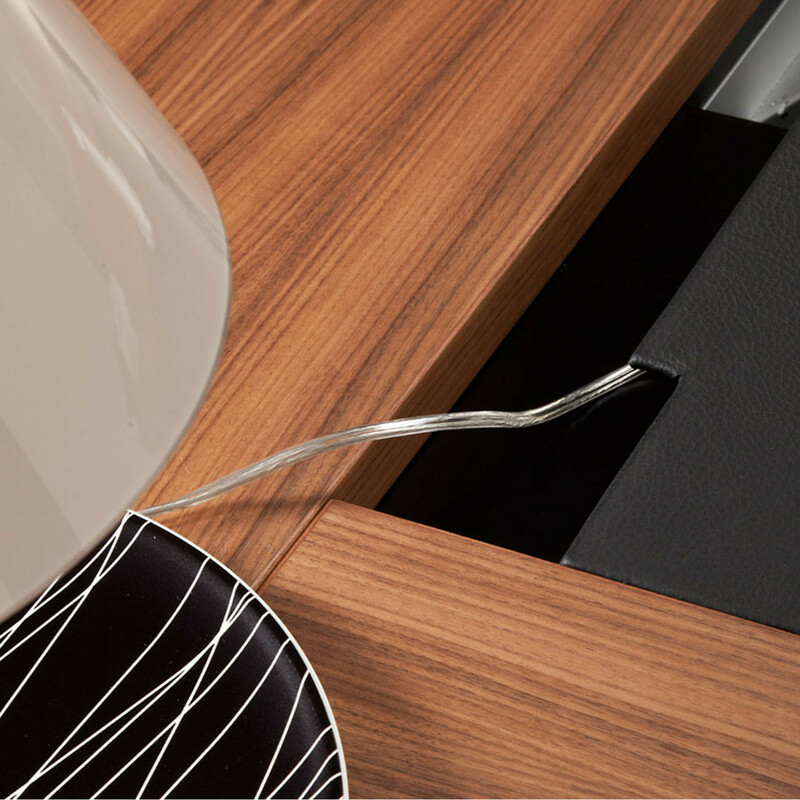 The vertical surfaces are covered with a panel system that is framed with special aluminium profiles that support all of the structure. 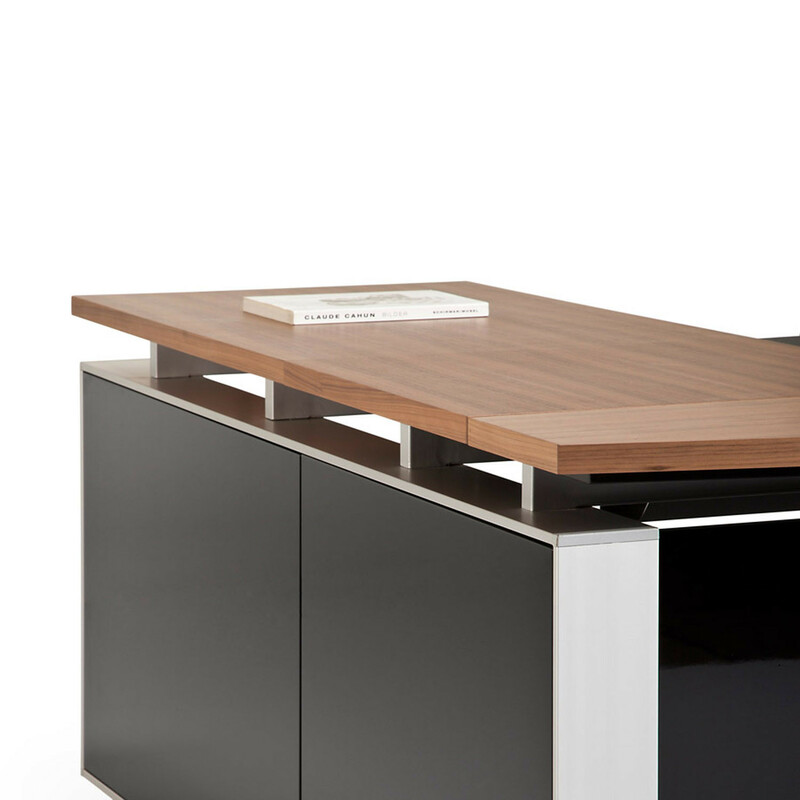 The tabletop of Swami Executive Office Desk is connected to the vertical surfaces but separated by a deliberate air gap in order to avoid a sealed boxed-in aesthetic. 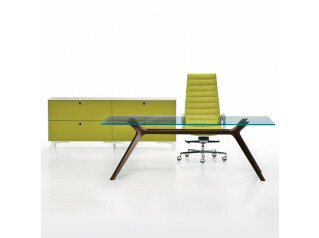 This breathes light and life into the design. 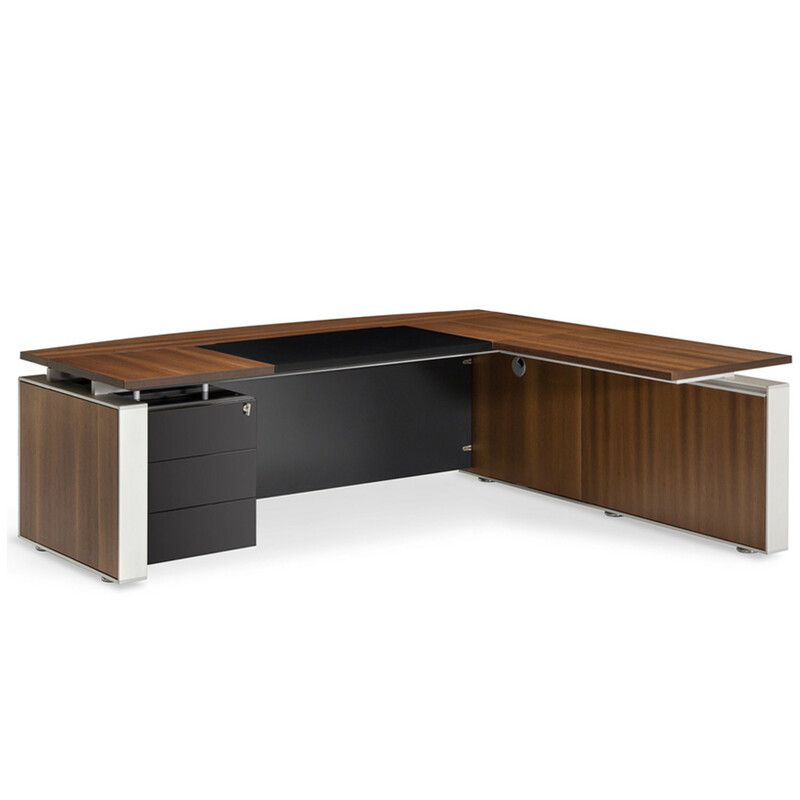 Swami L-Shaped Wooden Executive Desk will impress guests, clients and collegues with designer Faruk Malhan's use of high quality materials. 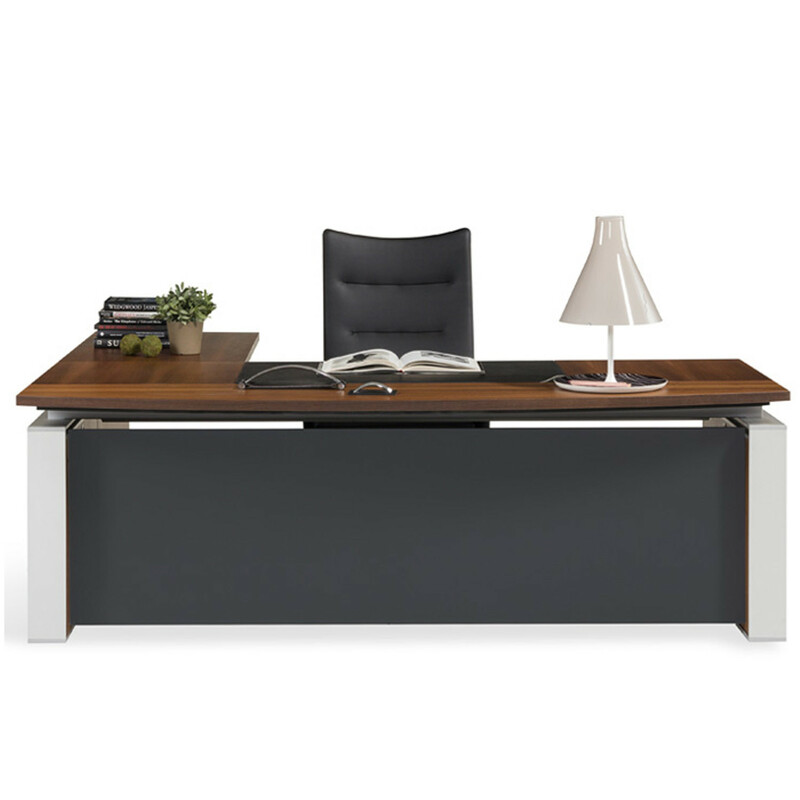 You are requesting a price for the "Swami Executive Office Desk"
To create a new project and add "Swami Executive Office Desk" to it please click the button below. 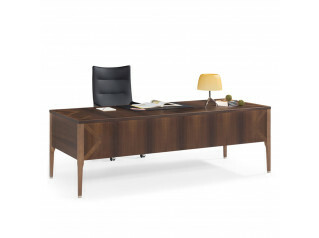 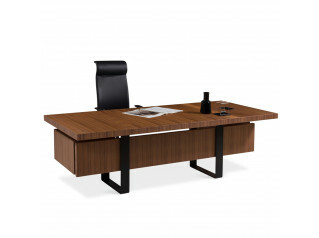 To add "Swami Executive Office Desk" to an existing project please select below.